Atherton Material Handling will manage your project from initial conveyor design inception right through to conveyor manufacturers (manufacturing), delivery and full conveyor installation for all of the conveyor systems solutions that we provide. Our highly experienced conveyor manufacturers and project managers and site installation engineers adhere to strict practices to ensure a safe and successful installation and commissioning of all of our conveyor systems. At AMH we are a committed conveyor manufacturers – working safely and maintain full SAFE contractor accreditation. 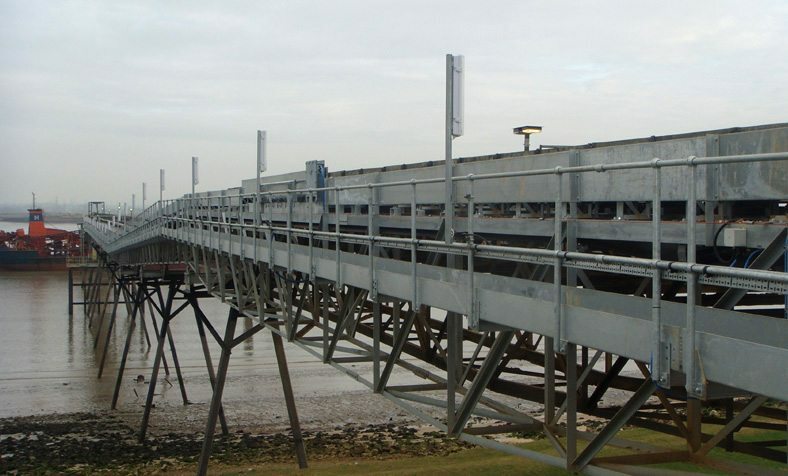 Our project managers and on-site conveyor installation engineers ensure the continuity of quality of service throughout the duration of the project. For more information on our conveyor installation services / covering manufacturing and commissioning, please Contact AMH directly. Installation of 60 tonne capacity hopper feeder. Image copyright of Atherton Material Handling. All rights reserved. Installation of barge loading lattice onto sea piles. Image copyright of Atherton Material Handling. All rights reserved. 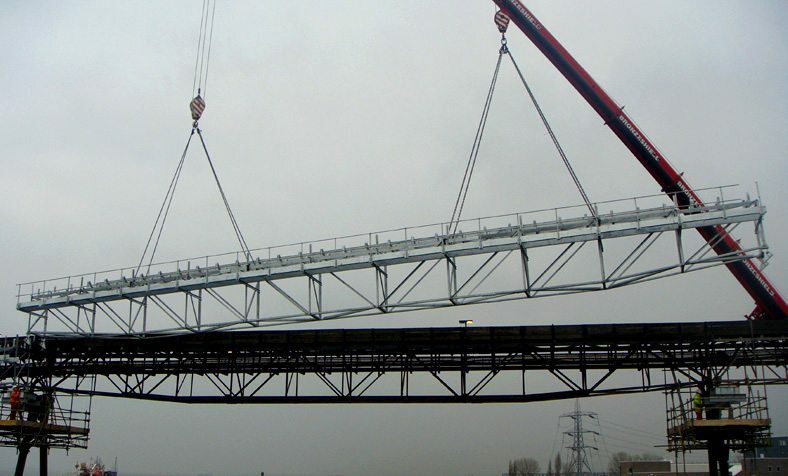 Final position of overland ground conveyor within Bailey Bridge lattice section over river. 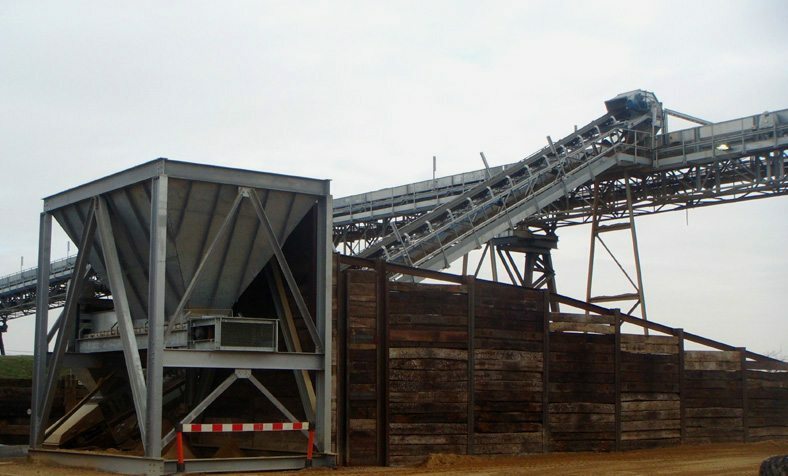 Image copyright of Atherton Material Handling. All rights reserved.